Design completely new Guide-through process by your own. 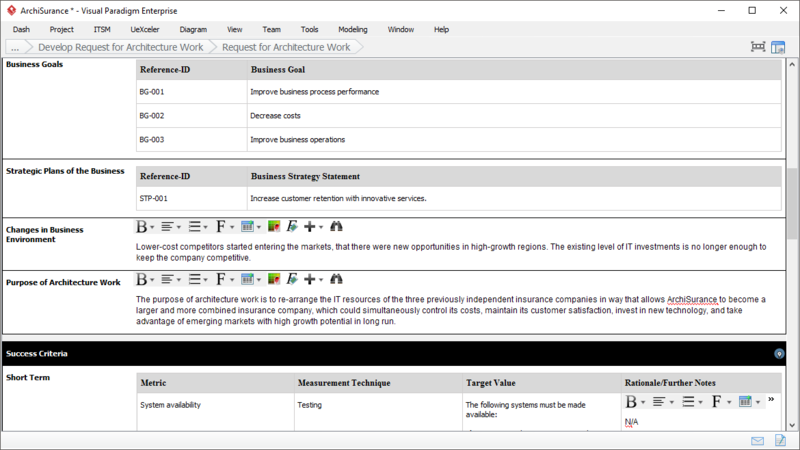 There is no one size fits all solution when it comes to project management, and that's why project teams wish to define their own processes for enterprise architecture, IT project management, business analysis, project governance, etc. Unfortunately, most of the process management tools in market lack flexibility and failed to support process customization; as a result, you need manage your work manually as they are not supported by automated tools. Not only the team need to transcribe information from here to there which creates a lot of works and re-works, but also make it hard to ensure the consistency among them. Visual Paradigm doesn't feel contented with the provision of repository-based tools for form filling, or only supplemented with some diagrams with the deliverables and convince users that "one picture worth a thousand words" that sort of old reason. 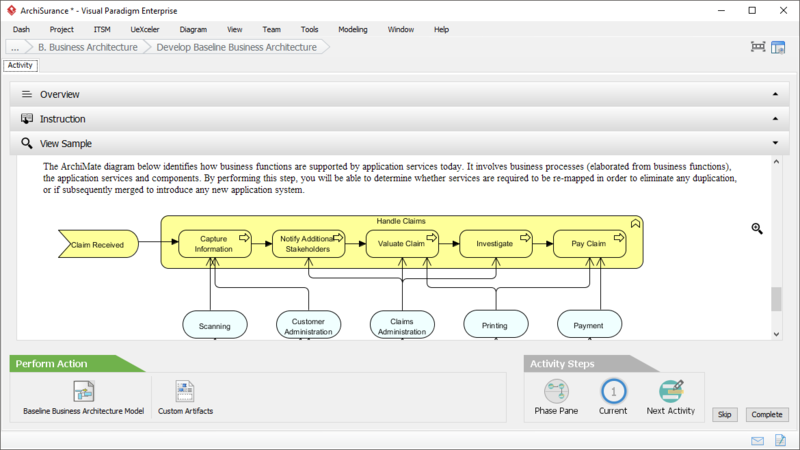 We innovate different mechanisms for our users to design their own processes without being a methodologist or framework expert. 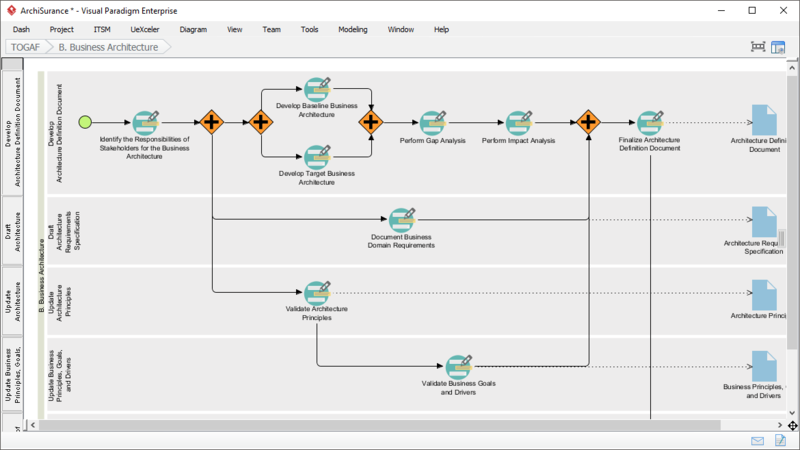 You can either customize the ready-to-use process provided by Visual Paradigm, such as, TOGAF® and Project Management templates, or design completely new process by your own using the Authoring Mode of the Guide-through process. 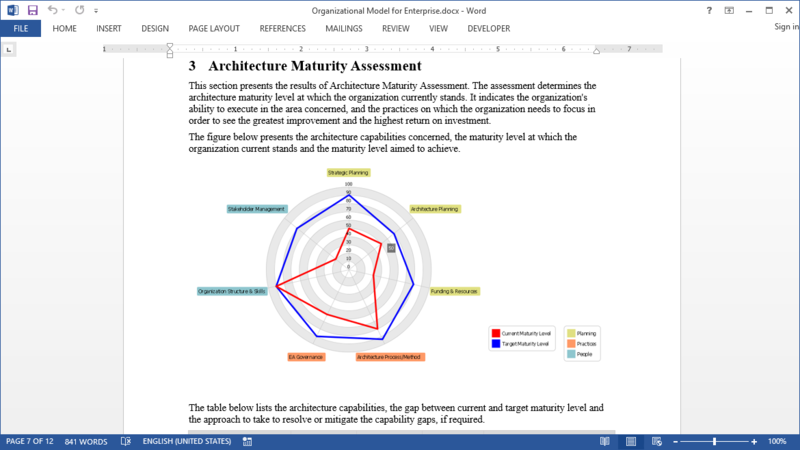 Design your own top-level process navigator. 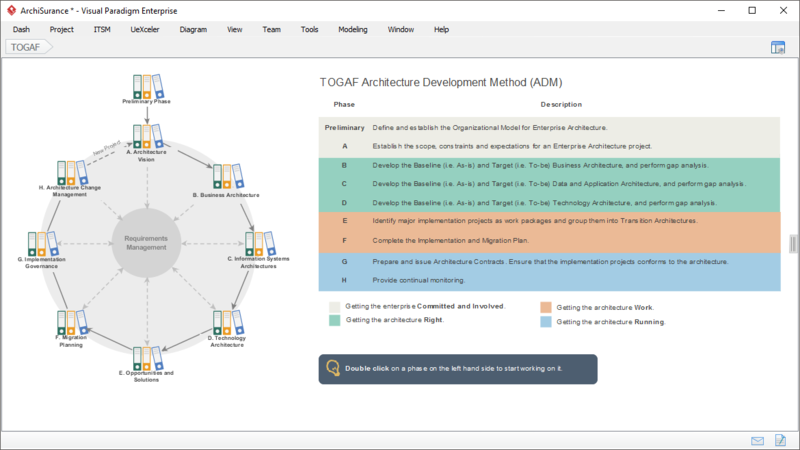 This is an example of TOGAF process, which consists of several ADM phases. Design your own process, which involves a flow of activities. Decide what actions to perform for an activity, such as to draw diagram. Besides drawing diagram you can also instruct user to fill-in a form you designed. Include instructions to describe the actions required to perform. Provide users with samples to clear any uncertainties. 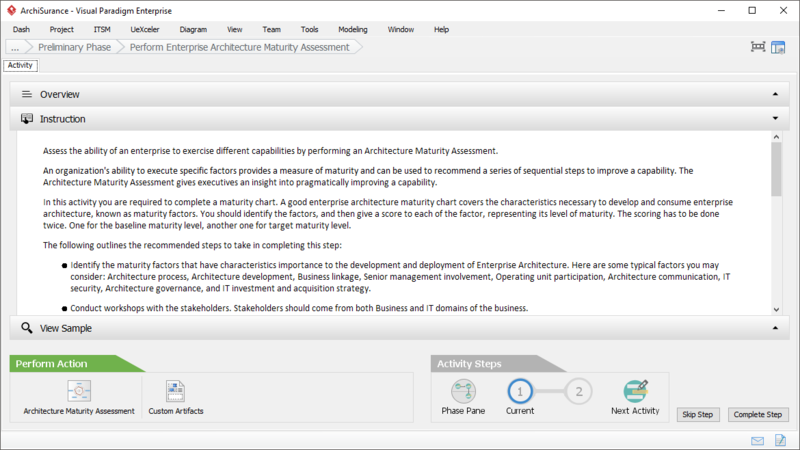 The result of completing activities is the auto-generation and auto-archiving of deliverables. 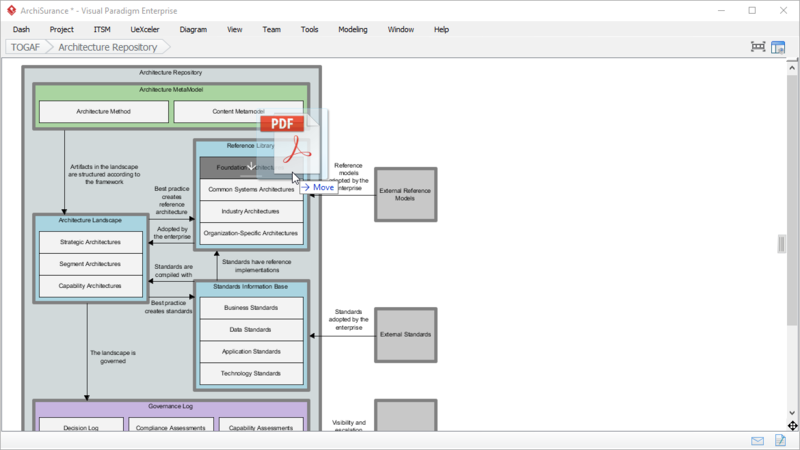 Deliverables are automatically archived. 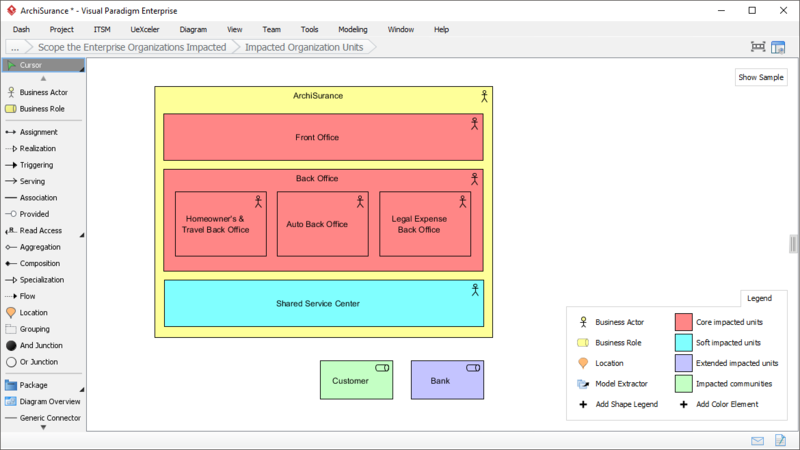 Design your own cabinet to store the deliverables.